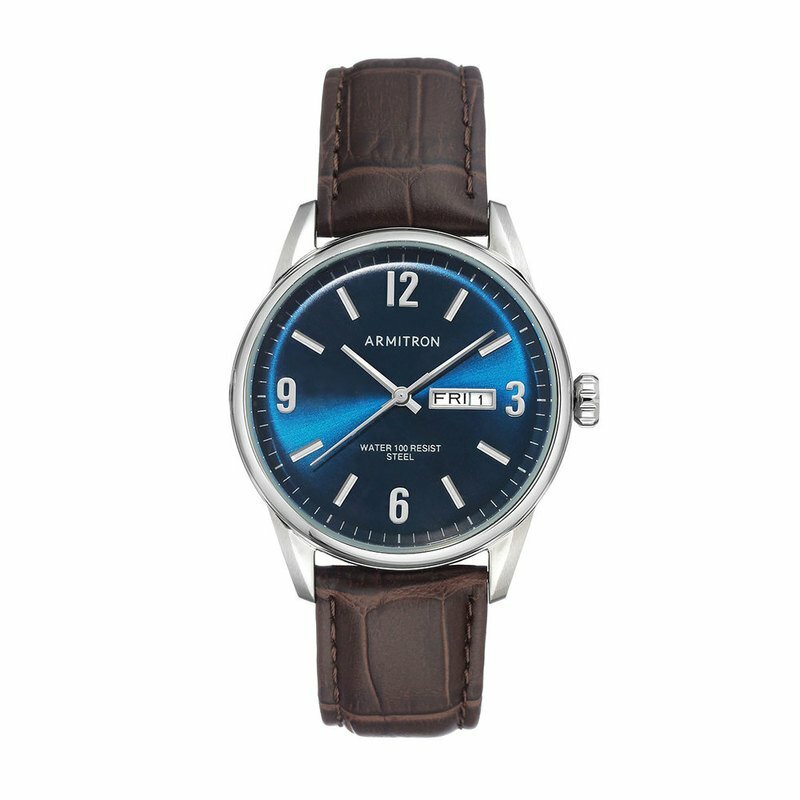 This timepiece by Armitron features a round silver-tone case with a scratch resistant mineral crystal lens. 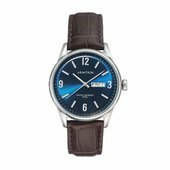 The navy blue slightly curved dial is accented with a day/date calendar window, silver-tone outer minute track, hands and markers. 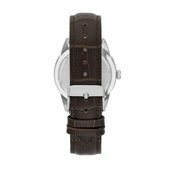 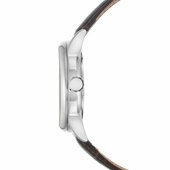 The dark brown croco-grain leather strap closes with a simple buckle.